Often times we operate under the naïve impressions that something will be easy – learning to ski, raising kids, writing a book… Ha! Let’s forget about those first two for the moment because we’re talking about books, right? I’ll be the first to admit that I’ve often made that mistake with a story. (The naïve impression thing.) I sit down and think “I’ll just whip this baby out.” Ha! Let’s face it, some stories are years in the making. Kylen and Taysia’s story, Beyond the Waves, was such a story. I started this romance more than seven years ago, and was finally able to get back to it this year after completing several other books, and after the storyline took a totally different tack than I first thought it would. All that said, however, I’ve enjoyed the years these characters have lived in my mind and am excited to share them with you – and to get to work on the second book in this series, Caught in the Current, which I’ll be releasing this winter. 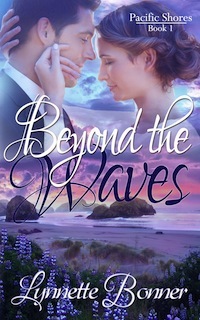 Beyond the Waves explores pride and second chances. Pride is a tricky little bugger that can come disguised in so many different forms in our lives. Taysia has to learn to ferret it out of all the little corners of her heart and constantly give herself back to God and ask Him to help her move forward. I was just telling my husband last night that all of my heroes have a little bit of him in them. Kylen certainly does. He is infinitely patient with Taysia, just like my hubby is with so many people in his life. And I really enjoyed writing his part. He’s a hero any woman would be blessed to find! After you read the description below, if Beyond the Waves sounds interesting feel free to leave a comment, because I’m giving away 10 digital copies of the book in whatever format you prefer to the commenters on this post. I’ll do the drawing on Tuesday the 19th. Can a Love Shattered by the Sands of Time … Rise Beyond the Waves? Taysia Green nearly chokes on her water when Officer Kylen Sumner shows up in her office claiming he’s back in town because he loves her. Since he’s broken her heart more than once, and she recently started dating youth pastor Blaine Pittman, she wants absolutely nothing to do with Kylen. But he’s been asked to stand in as the mediator between Taysia and wannabe model Sophia Clinesmith, who twisted her ankle in the parking lot of Taysia’s business and is threatening a lawsuit. If she didn’t need him to help save her gym, Taysia would tell Kylen to take a long midnight walk on a short cliffside trail. She’s perfectly happy with her life just the way it is. So why is it that just the sight of Kylen Sumner sets her traitorous heart to dancing faster than it did the time Blaine kissed her? Born and raised in Malawi, Africa. Lynnette Bonner spent the first years of her life reveling in warm equatorial sunshine and the late evening duets of cicadas and hyenas. The year she turned eight she was off to Rift Valley Academy, a boarding school in Kenya where she spent many joy-filled years, and graduated in 1990. That fall, she traded to a new duet–one of traffic and rain–when she moved to Kirkland, Washington to attend Northwest University. It was there that she met her husband and a few years later they moved to the small town of Pierce, Idaho. 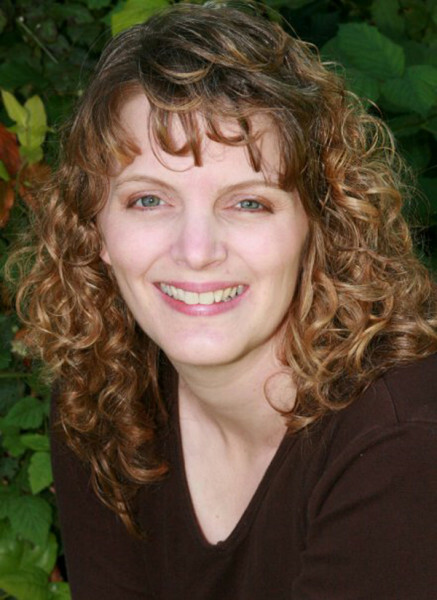 During the time they lived in Idaho, while studying the history of their little town, Lynnette was inspired to begin the Shepherd’s Heart Series with Rocky Mountain Oasis. Marty and Lynnette have four children, and currently live in Washington where Marty pastors a church. A problem with this post’s visibility has been reported to me. Apparently if you’re here, you’ve come by direct link and cannot see other people’s comments. You were unable to come via the main blog page. Please let me know if you’re here via inspyromance.com/blog and clicking on the link for the post. What browser are you using? I’m trying to solve this, but don’t know where to begin. :( If you can’t comment, email me at valerie at valeriecomer dot com. Maybe it is working now? Hello Lynette, glad to meet you as a new author! I have not read any of your work, BUT by the sound of Beyond the Waves, I have been missing some good reading! I loved your character, Kylen, who sounds a lot like my husband, as well. Always there to encourage, support and willing to forgive at a moment;s notice!! A real hero to me!! Sounds like you and I both are blessed to have good wonderful God fearing men! God bless us!! Thank you for the opportunity to win BTW and I hope I am among the honored ones. I am happy to share this giveaway for you. Love, light and Blessings…. I’ve read (and love) The Shepherd’s Heart series, and am looking forward to reading Beyond the Waves!! This sounds like a really good book. Thank you for sharing. Thanks, Susan. All the best to you! Lynette, your books delight me. I just finished reading The Unrelenting Tide Thursday night. It was your best book thus far; at least in my opinion. I could hardly stop reading it at night to go to sleep. I really appreciate the spiritual emphasis you put in your books. Sadly, I was disappointed that you didn’t write Book 2 in the San Juan Islands series. Anyway, I’d be thrilled to get another book of yours. I’m excited you are writing another series and I trust you are writing all the books in the series this time. Yeah! Glad you enjoyed, The Unrelenting Tide, Faith. Thanks for letting me know. Yes, I will be the author of all the books in the Pacific Shores series. Look for book 2 sometime this winter. :) Wishing you all the best! Faith, it makes me very sad to hear you were disappointed that the second book in the Islands of Intrigue series wasn’t written by Lynnette. That certainly wasn’t our intention in writing the series. I hope you’ll give “Tide Will Tell” a chance anyway. 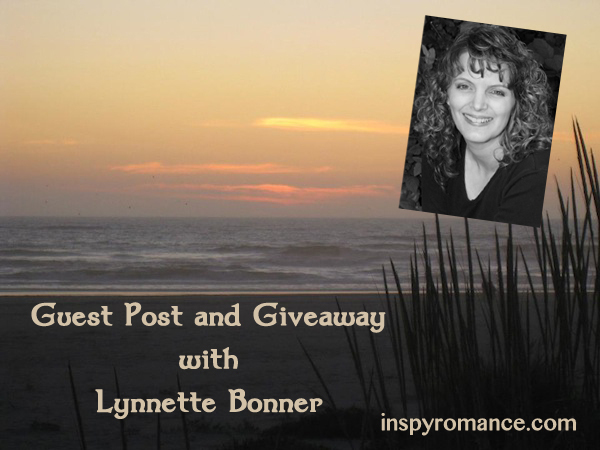 My writing style is similar to Lynnette’s and you might find that you like it. Thanks, Robyn. :) (he he he, yes, we are related for those wondering. Robyn, I have a feeling you’ll get a book whether you win here or not. ;) ) Love ya! Thankj you for sharing on this post. It sounds like a really good book. Thank you. Wishing you all the best! Thanks, Wendy! All the best to you! Sounds like my kind of book! Looking forward to reading it at some point. Thanks, Cindy. :) Hope you enjoy it. Lynnette is having trouble accessing this post, in case you’re wondering why she hasn’t replied. We’re not sure what’s going on! She was delighted to hear there have been so many replies, but apparently she isn’t the only one to whom the post is invisible. And Valerie, genius that she is ;), has now fixed the problem. Technology! Thanks for working hard to get things figured out, Val. Book sounds good. Love the cover!! Thanks, Kimberly. :) I really enjoyed working on this cover. That’s so true, Cheryl. I hope you’ll enjoy the story! All the best! Thank you for giving me a chance to win! Happy you entered, Jen. Wishing you all the best. Sounds really good, Lynette! Would love to be one of the ten… God bless! It looks like your blog access problem was solved. I can see the comments just fine. I love Lynnette’s books too and have read them all, some more than once. Please don’t enter me in the drawing, as I already have this book, and the books should go to some folks who haven’t read it yet. I love your other books, and. i can’t wait to read this one! Thanks, Dyan! Hope all is well with you! I love the idea of someone helping the person he hurt years ago. The issue of forgiveness is one my character is trying to working through right now. It’s not easy to get those characters all figured out sometimes, is it, Mel? I totally get that! You know I love your books. I have enjoyed ever single one of them. I can’t wait to read this latest book!! Aw thanks, Debby. Hope you enjoy it! Love ya! I’ve read all of your books and think they are just great. I’m looking forward to this latest read! I would love to read your book I’m from weippe and pierce area some one said you use these areas to write about, hope i’m one of the blessed ones o receive your book. Hi Ronda, thanks for entering. This particular book is not set in Idaho, but my book Rocky Mountain Oasis, which is currently being offered free for eBook on Amazon, Barnes and Noble, Apple and other retailers, is set in the Pierce/Weippe area. Your book sounds like something that I would really enjoy. I read books on my KINDLE so a digital copy would be ideal. Thank you for this generous offer. Thanks, Nancy. Wishing you all the best and I hope you’ll enjoy the story! I appreciated your comment about how this story took seven years to percolate and then it turned out differently than you thought it would. The muse surprises constantly. I haven’t read any of your books – yet! I’m always looking for a good romance that I’m not embarrassed to tell someone I’ve read. This sounds like a good one. And I enjoy a series where each book is complete, but the characters continue in the next book! Looking forward to getting to know you as an author. Thanks, Melissa. I hope you’ll enjoy it if you win. :) The first book in my historical series, Rocky Mountain Oasis, is free for all eBook devices, so you can check out my writing style there, if you like – though my contemporaries are a bit different. Anyhow, thanks for entering! Lynnette, you had me at PRIDE! Don’t we all struggle with it in some form or another? I’m looking forward to seeing how Taysia allows God to ferret it out! :) I have not read any of your books but only because this is the first time I’ve come across them through a link from Joanne Durgin. But, I’m ready to settle in with a cup of coffee and see what I’ve been missing! And we have the list of winners generated from Random.org! Thanks, everyone for entering! Talk to each of you soon!